At SAILAWAY CRUISES we offer a full day cruise on our 42 ft sailing trimaran GOLDEN WING from our Havannah Harbour boat base. The priorities on the day are to enjoy sailing between 3 of the top snorkel or dive sites within the UNESCO World Heritage Site area bounded by Lelepa & Hat islands and Mangaliliu village. The idea is to have a fun day out on the water in a casual ambiance, for people of all ages. A sense of adventure and humour helps, as we have our Fawlty-Towers-in-Paradise moments. We have been operating safely in Vanuatu since 1981. Our day sail is well suited to divers, snorkellers, and even non-swimmers with plenty of deck space for sunbathing or relaxing in the shade, which makes it ideal for individuals, or groups who want to enjoy a day out together whilst on holiday. While the snorkellers are enjoying the warm, clear waters, colourful corals and prolific fish-life, the divers can do 1 or 2 dives during the day and are guided to spectacular drop-offs with huge gorgonia fans & soft corals & swim-throughs & caverns, whilst getting close and personal with a huge variety of fishlife and turtles. So come and enjoy the freedom & peace of Sailing with the underwater highlights of Scuba Diving and Snorkelling on healthy reefs, with time to Relax between 3 stops in the pristine area of NorWest Efate Island. This is “Paradise” at its Best (on sunny days rather than cyclonic days). The Day Cruise price includes return bus transfers from Port Vila hotels over the hills to our boat base in Havannah Harbour; lunch on board; morning & afternoon teas; and use of snorkel gear. Please bring your own towels, caps, sunscreen, sunnies and maybe a rashee or extra T shirt for snorkelling in winter. 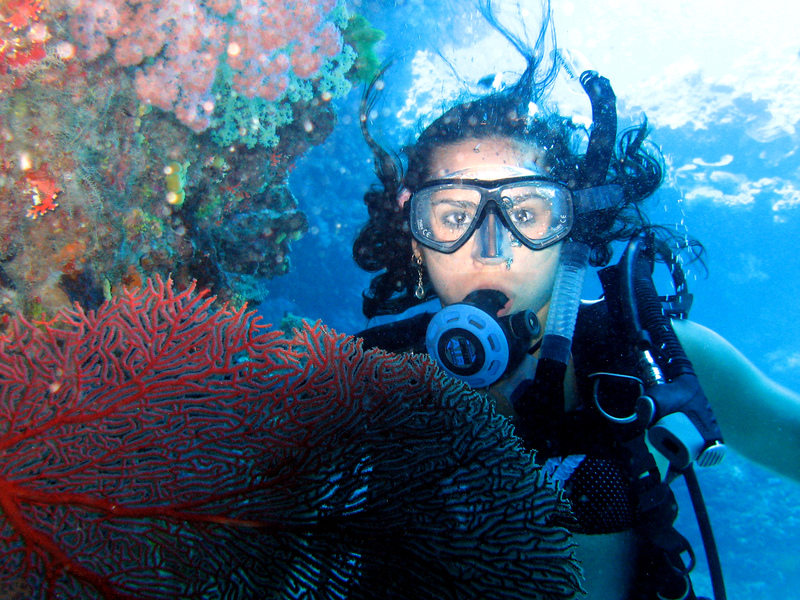 Diving is an optional extra for qualified divers presenting Certification Cards.